There is a famous Russian journalist, who dedicated himself to studying island cultures. He claimed, that as every island population developed in insolation, its culture and social norms are so distinctive, that it is not easy for continental people to understand them. As the examples he mentions Japan and UK (he spent 10 years in both countries and claims that British people are quite difficult to go alone with). I don’t know how true it is nowadays, but I am sure that this principle is not applicable to another large island – Sicily. It was conquered so many time, that it is rather a melting pot of people, traditions and cuisines. Specially distinguishing in this sense is Palermo region, which was under strong Arabic influence, and thus features couscous as a traditional dish. 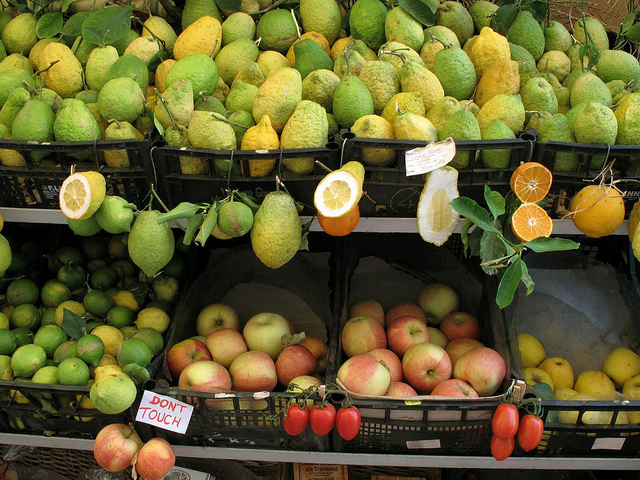 And it were Arabs, who brought lemons into Sicily – they started cultivated it on the fertile soil of Etna. Many people trust that exactly due to this volcanic soil and Sicilian lemons have these inimitable sweetness, which born the saying: “Lemons are not lemons unless they are from Sicily”. 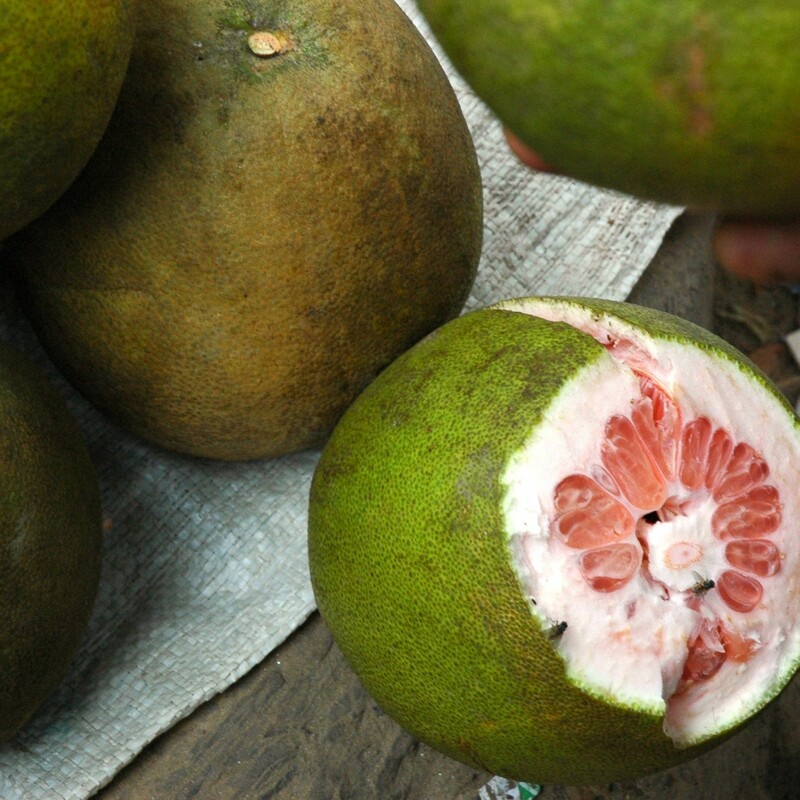 Lemons are used in many traditional dishes, like famous Granita. But in the summer a popular dish is past with lemon, as it has rich, refreshing flavor. 1. Boil spaghetti in plenty of salted water till al dente. Drain, reserving a splash of cooking water. 2. Chop the garlic and chili; put olive oil into a pan, add garlic and chili and sweat on medium fire for about a minute. 3. One lemon cut in segments, grate the zest and squeeze the juice from another one. 4. 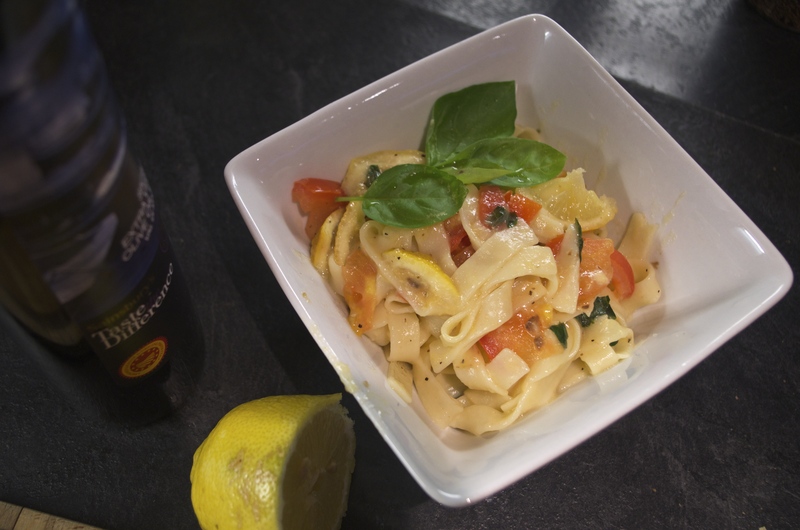 Put pasta in the frying pan, add a little bit of cooking water, lemon segments, zest and juice, basil, and cut tomato. Stir, season to taste, and adjust the density with the remaining cooking water. Add grated parmesan and butter. Serve straight away. Looks and smells like spaghetti with meat – you can even fool some of your non-vegetarian guests. Imagine, you have sudden guests who you would like to surprise with minimum time for cooking. 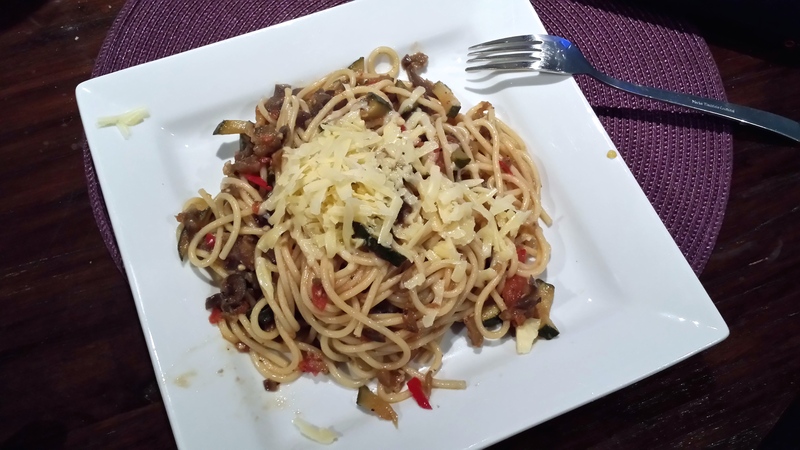 These spaghetti can be an ideal solution! 1. Melt the butter on the pan, cut leek in slices and fry on the melted butter. Leek must become soft, without turning dark. Add wine, sugar, pinch of nutmeg and let it cook for several minutes. 3. Put the wine-leek mixture in the blender; blend into homogeneous sauce. 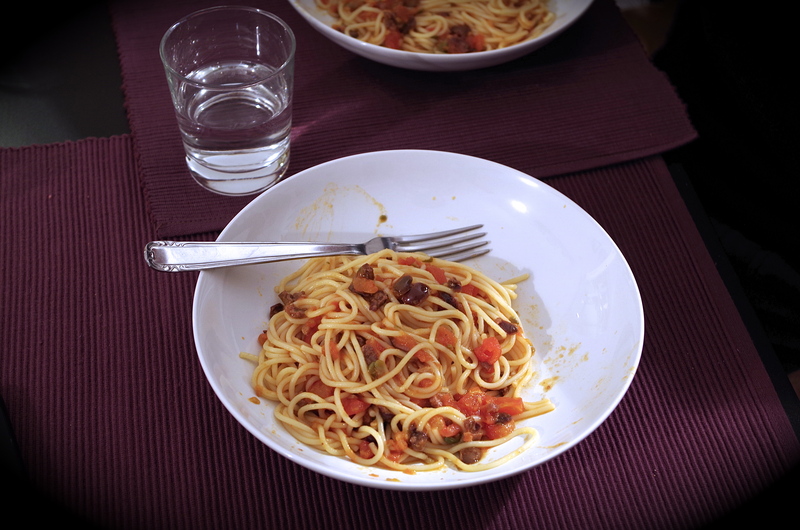 If the sauce is too dense for your taste, add a little bit of cooking water from spaghetti. 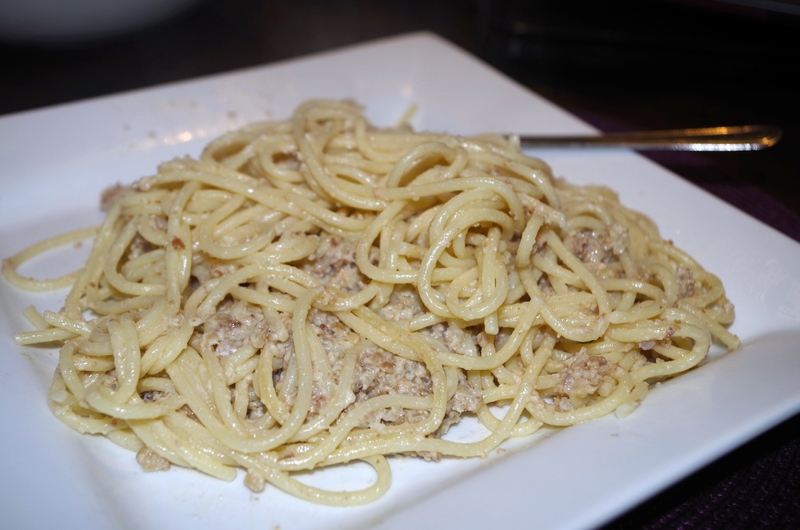 This dish, very typical for southern Italy, can be literally translated as “whore’s spaghetti”. Italians say the history of this name remains unclear, must most probably it was used by the prostitutes in brothels to attract clients with the delirious smell. Moreover, it was fast and cheap, and it combined all typical ingredients – not surprising it is one of the most beloved dishes even nowadays. 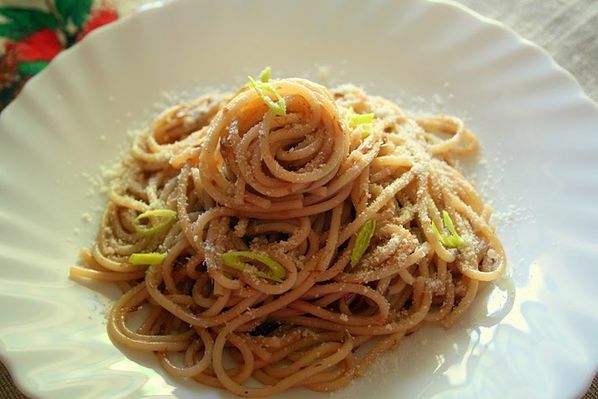 I saw a lot of strange recipes of spaghetti all puttanesca (even one with pesto), but I can assure you this one is the most traditional and spread all over Italy.